If you’re reading this, I know you know what it’s like to be the only “whatever it is in the room.” Perhaps you’ve been interrupted, spoken over, chronically underestimated, and have experienced the strange invisibility of “did anyone hear what I just said,” leading you to conclude that your time and opinion don’t matter. In fact, you might as well have stopped talking – maybe even showing up in general. I also know you know, deep-down, what a mistake that would be. The world stands over the edge of a precipice full of some particularly gnarly problems, and those of us working in tech like to think we can use tech to solve these problems. Especially we like to use the word “innovation” as the key to solving these problems. 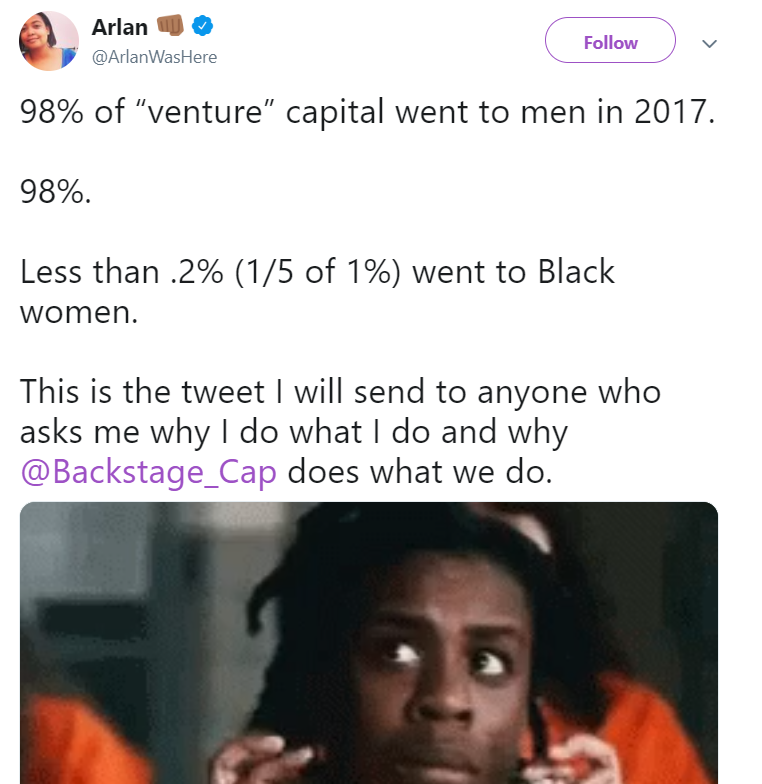 Yet when you look around the room and invariably it’s the same kinds of groups of people coming together, and funded, to solve these problems, you think (quietly and to yourself): Is this “innovation”? In reality, there is an endemically small variety of people who create and control the technology we submit that the world relies on today. Meanwhile, the global population is tending to make it harder, not easier, for diverse peoples to move around safely in order to break down the walls into the room of the creators of this technology. That’s everyone’s loss. We’re not going to be able to effectively tackle the world’s hardest problems with technology, especially in a way that works for the most marginalized who need it most, without those at the margins showing up. 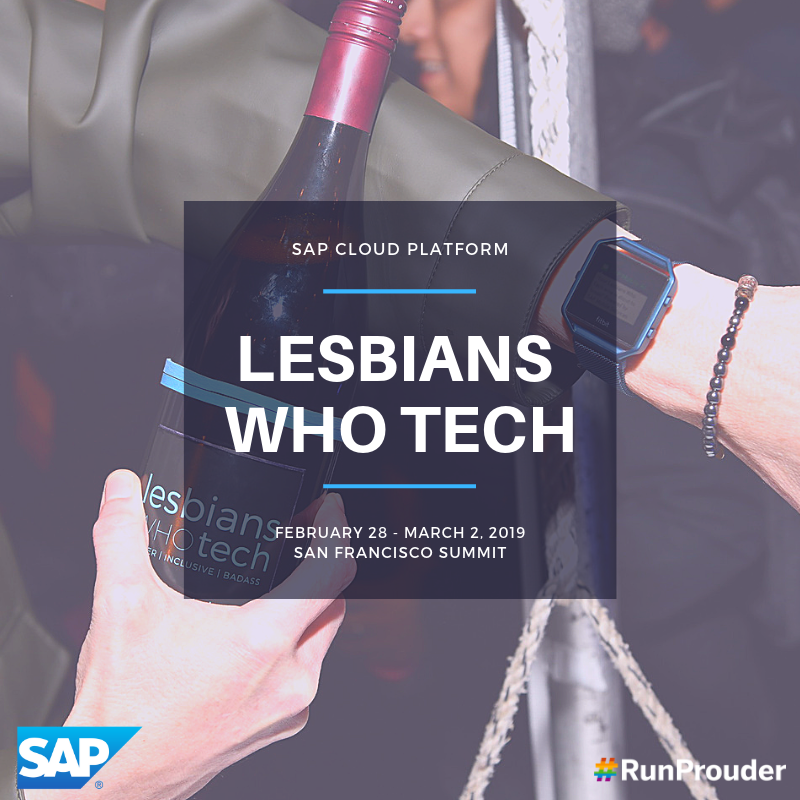 Among all the other incontrovertable reasons, this is why we’re pleased to announce that SAP returns to the Lesbians Who Tech Summit in San Francisco for the sixth consecutive year, February 28th – March 2, 2019. This Summit is repeatedly the finest tech conference I go to year after year, and it features speakers you probably didn’t see at your last tech conference: 50% speakers or color; 100% female speakers; 10% transgender or gender-nonconforming — all showing up in a room definitely not full of same-ness. This year will once again feature unparalleled tech sessions on a wealth of topics such as AI and machine learning, serverless applications, data and afrofuturism, blockchain, crypto and cybersecurity from today’s top technologists – and SAP. At least 25 people from SAP and a huge variety of SAP technologies will be on hand to demonstrate a broad range of SAP technologies. We’re extremely proud to announce that our flagship speaker, Michelle Grover, VP of Development at TripIt, will be taking the stage to talk about how technology, when used properly, can help us as we travel through the world to find that most basic of human needs: a safe space. For that, she’ll be diving into the secret sauce about what makes TripIt Neighborhood Safety Scores tick and why. 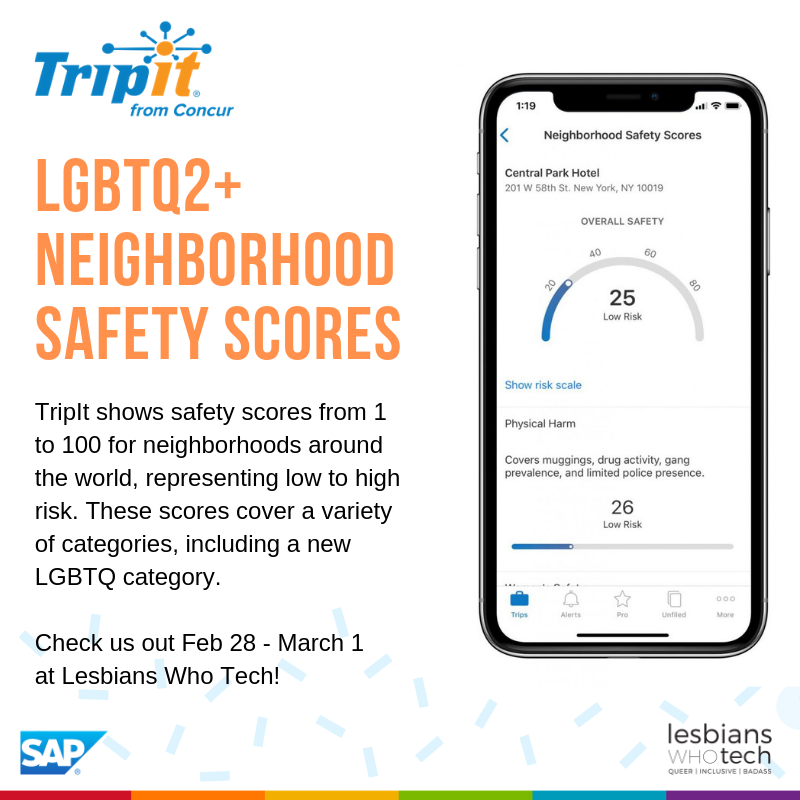 TripIt product manager Casey Cheung will be on-hand to demo TripIt Neighborhood Safety Scores so whoever stops by the SAP table can get a first-hand look at this innovative and critical technology. We’re also thrilled that product marketing manager Rachel Ho returns to the summit with wicked technology in hand. She’ll have the SAP Digital Boardroom on display, a famous interactive experience in which you can analyze your business via SAP Analytics Cloud. 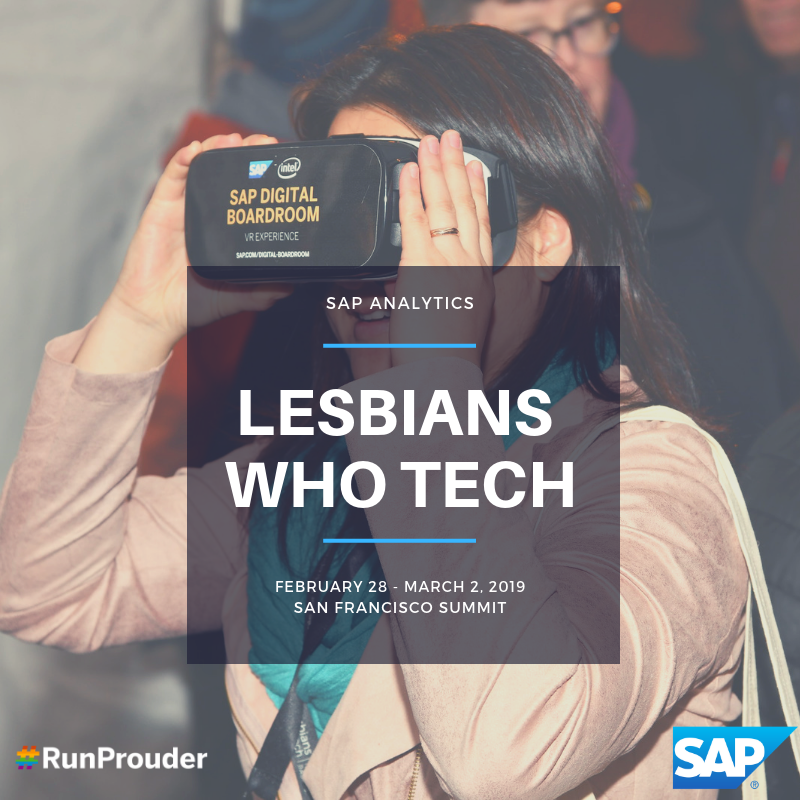 Invoking SAP SuccessFactors, she’ll be bringing in people analytics to the mix to show you how your analytical dashboards can be used to surface — and address — diversity needs in your workforce. Look for Caitie Sullivan, program manager for SAP Silicon Valley Next Talent, during Tech Crawl or at the SAP table another time, and ask her to show you how SAP Ariba fits in with Internet of Things with a VR demo of an SAP Retail Store. You can also try out a drone simulator for our flagship in-memory database, SAP HANA. I’ll be there too, showing an up-close look at blockchain and machine learning services on SAP Cloud Platform and why all diverse humans need to play a part in these machine-forward technologies toward an equitable and inclusive world. 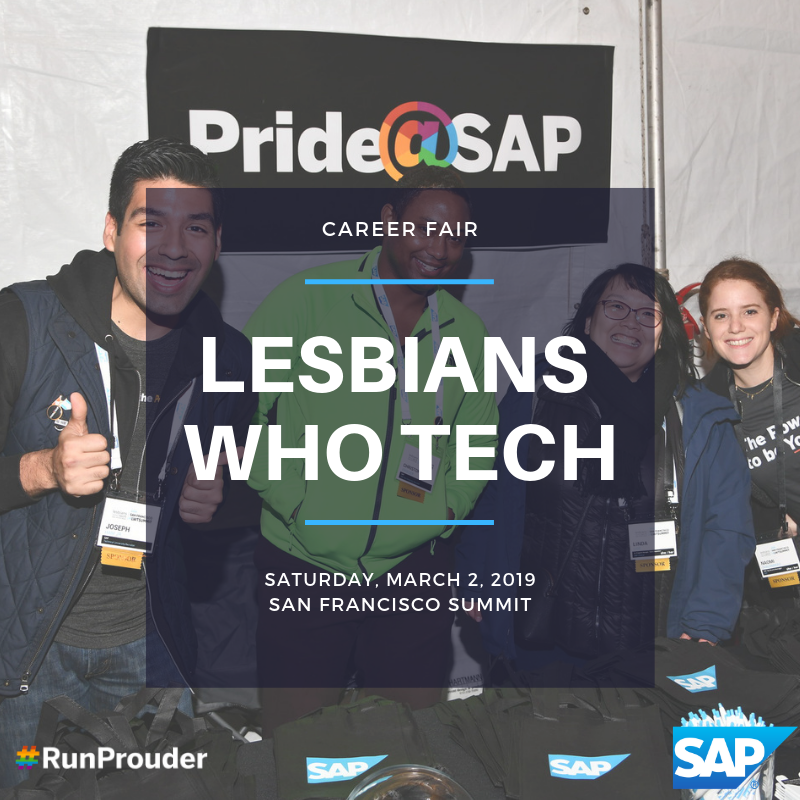 Year after year, SAP has brought a beautiful recruiting presence to Lesbians Who Tech Summit. This year it will be better than ever thanks to the support of early talent recruiting and program manager Jenn Prevoznik and thanks to the lead of our returning, fearless Linda Lioe, who has already assembled at least a dozen amazing SAP humans who will be eager to answer questions about working at SAP at our table throughout our three days at the Summit. So we will not only be speaking the wonderful breadth of technology that IS SAP, we’ll be working hard to look outside beyond our usual rooms to those whom we may have overlooked who may also invent the future. SAP is in the business of applying technology to solve the world’s toughest problems, and you want to be a part of this! In case you’re wondering, this applies to straight white cis males too. You haven’t had the experience of being the only “whatever it is in the room?” That may also be the world’s loss. The greatest visionaries in technology have proven time and again to be the crazy ones who have been able to harness how to “think different.” This is your time. This is our time. Join us. Tickets will sell out. Get yours today! Have a great time at the conference Moya! I would love to join you one of these days to represent SAP, and also to also draw inspiration from so many talents.You will undoubtedly see Eva Woo from SAP SuccessFactors as well, who can share her knowledge about how employers can benefit from the Business Beyond Bias solution.